The LF (Large Format) Eclipse IT Shutter dowser is the largest selling unit in Wybron's family of professional-grade dowsers. It's the evolutionary step up from the Eclipse II family of dowsers, which we produced for nearly 15 years. This classic style of mechanical dowser has been refined over many years to continue to increase its reliability. The IT generation of Eclipse Shutters and shutters comes packed with a wealth of improvements and new features. 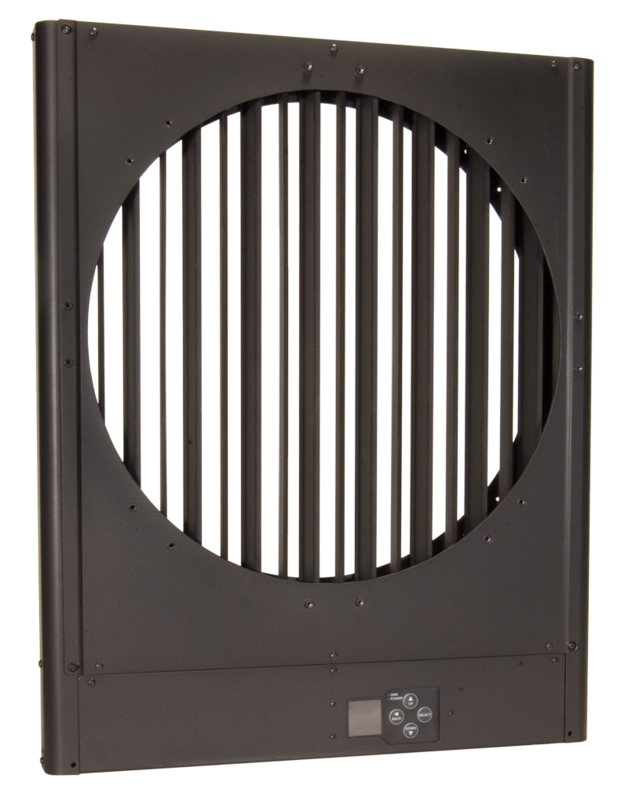 The LF Eclipse IT's aluminum case and shutter blades are built for lightness and speed. A non-reflective matte finish powder coat keeps the dowser cleaner. The Shutter style provides for maximum speed (5 times per second) of opening and closing. The unit's drive mechanism has been re-designed for quiet operation and long life. Several of our test units have now passed over 1 million cycles in our quest to prove the reliability. Bottom line, the Eclipse IT is the quietest, and most reliable dowser we've ever made. The control electronics have also been extensively upgraded. We have moved away from block mode addressing, and now each dowser can have any address in the DMX universe. Also, the address is now set electronically so the unit can be set up remotely – a big time-saver when changes need to be made quickly. We've also added lots of sensors to help you keep a watchful eye on the status of the Eclipse IT shutter. Ambient temperature, voltage, and current at each unit can be measured and sent to your computer using the industry-standard feedback protocol Remote Device Management (RDM). 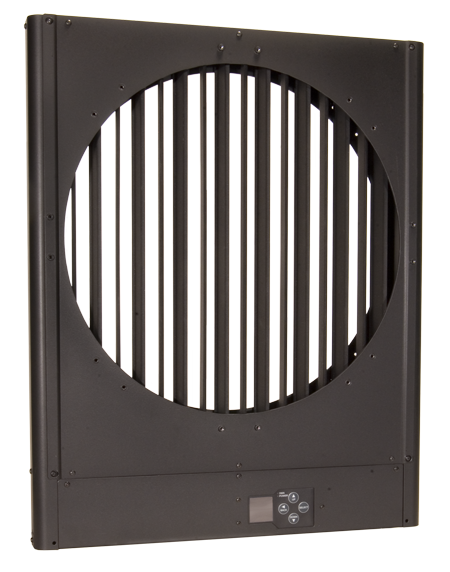 The LF Eclipse IT Shutter uses Wybron's PS Power Supplies.